This is the CloneDVD testing report. It aims to analyze CloneDVD's performance and features to provide the theoretic basis for the compare chart. 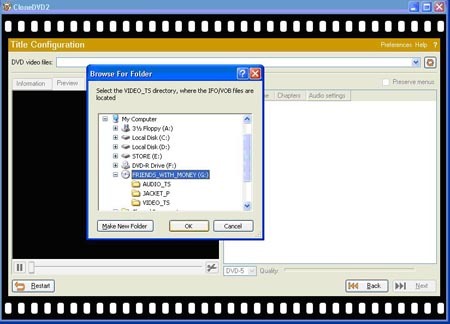 We are trying to figure out the most convenient and reliable DVD copy software for consumers' reference. We studied CloneDVD's performance and features. This software is 4.75M big. It has a specific HELP document. The disc used in this test was Friends with Money, 7.95G, SONY disc. We clicked "Clone DVD" and went into the next step. Here we need to search for DVD's position. We changed another disc--X-Man,6.19G. Then we clicked "next" and selected the language and caption. We clicked "next" again and selected the DVD burner. It began to convert this time. It converted about 30 minutes and burned 13minutes. The copied DVD played well. 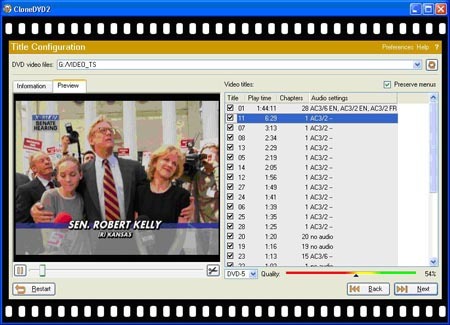 After analyzing and comparing these DVD copy software, we rank CloneDVD in the eighth place. The operation design is not intelligent. Users need to search the DVD list themselves. It's unable to copy protected DVDs. The operation interface is not user friendly. Users have to keep clicking the button "NEXT". The converting is quite speedy.